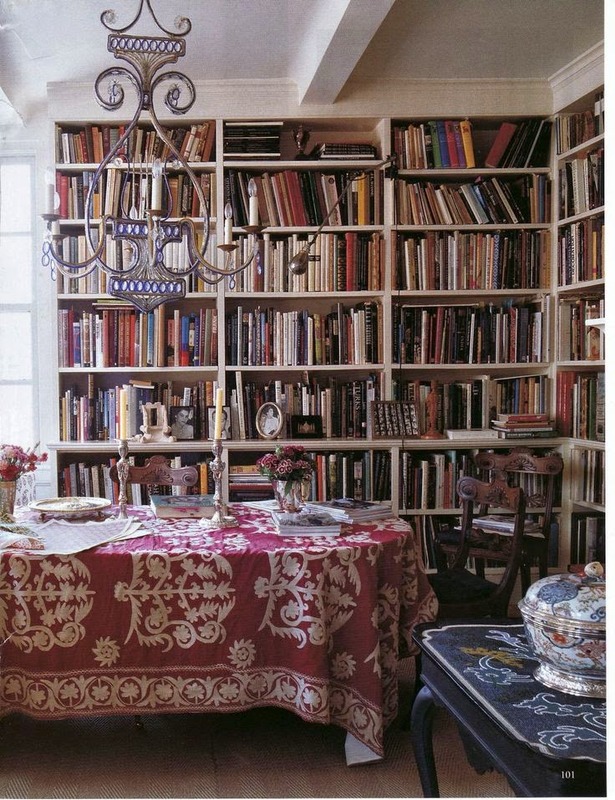 Dining whilst surrounded by bookcases is so cosy. How beautiful is the tablecloth? via from the right bank.